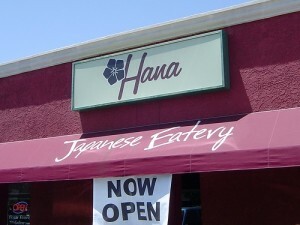 Hana Japan­ese Eatery is a small, fam­i­ly owned and run restau­rant in Cen­Pho. 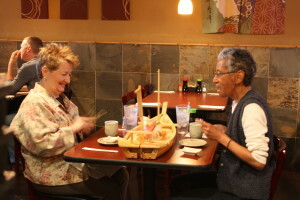 We are pas­sion­ate about what goes on your plate and how you feel when you’re din­ing with us. We’re hap­py to let our cus­tomers speak for us & are very open to feed­back. Sim­ply google us for an authen­tic per­spec­tive of Hana. Most staff have been here for years, they’re mem­bers of our fam­i­ly, and we take immense pride in the qual­i­ty of our ingre­di­ents, the inven­tive­ness of our dai­ly spe­cials, the authen­tic­i­ty of our recipes and the care we pro­vide our cus­tomers. Expect quick ser­vice by friend­ly staff. 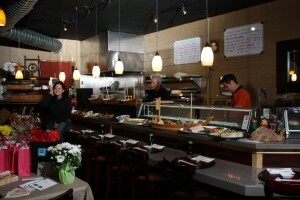 We’re pret­ty casu­al- dine inside at a table or sushi counter or when the weath­er is right, on our patio. We love fam­i­lies and try to be accom­mo­dat­ing. Hana is BYOB, and we’ll hap­pi­ly chill & cork your favorite bev­er­age with a $5 fee. Hana does not accept reser­va­tions, and so you may expect a short wait at peak times. 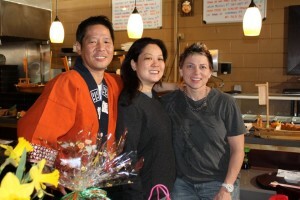 We often close on hol­i­days to give our staff time to be with their fam­i­lies.